HCID Open Day 2017 – Call for Speakers and Sponsors!! The HCID Open Day is returning on Thursday 27th April 2017! For those who don’t already know, the HCID Open Day is a free event where we invite in guest speakers from Industry and Academia to talk about UX / HCI / Interaction Design and related fields. The day is made up of concurrent talks / workshops with keynotes in the evening. Previous keynotes have been from Google, eBay, Ideo and Fluxx. The event provides a great opportunity to share knowledge, network, and meet potential hires. Last year we had around 250 people through the doors! To see how successful our last event was, check out our HCID 2014 highlights video. This year’s event will start at 1pm with concurrent talks running until 6pm when everyone comes together for the keynotes, potentially followed by an after party at the SU bar! 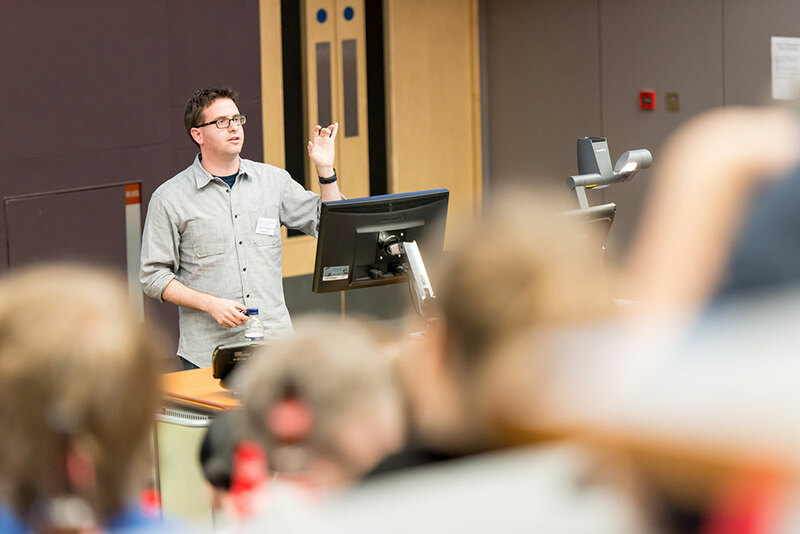 We are currently looking for speakers to share their knowledge with the wider UX community and sponsors that are able to pay for refreshments throughout the day. The loose theme for this year’s event is ‘Bootstrap UX’. This will be about how people can achieve UX outcomes on a budget, without access to a big team or expensive kit. It can also relate to how teams have gone back to basics in order to complete a project. However, we are happy to consider talks on other interesting topics as well. We are looking to get all speakers confirmed by mid-March. We are still in the planning phases at the moment please keep an eye out on our Twitter account @cinteractionlab, where using #HCID2017 we will announce speakers as they are confirmed and release ticket information.